This week, Nancy Thanki asks us to focus on the holiday season. For Lynn and I, that has come to mean a late fall in Arizona and a short trip back to Fargo for the holidays with our family. Nancy asks us to share the one thing without which the holiday season could never be complete. You can read the entire challenge post here. Life changes you in many ways, and for us after spending over 30 years in North Dakota winters, our retirement brought us to winters in Arizona. 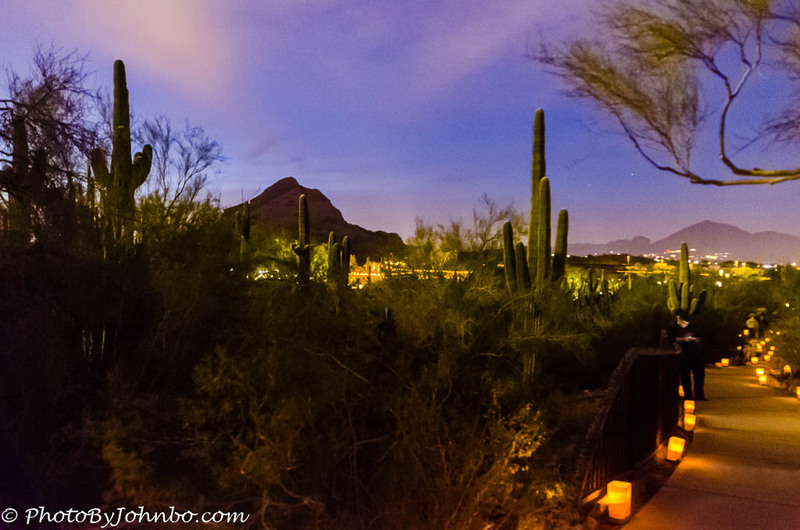 Since January 2012, our winters feature saguaro cactus and views of the mountains around Phoenix. In the photo above, the Phoenix Botanical Garden features an annual Luminarias display. Arizona winters have become a place we look forward to visiting. We enjoy meeting anew with our other snowbird friends who have also just returned for the season. Don’t get me wrong, our time with our family over the holidays is very important. It’s why we plan a return to Fargo for the two weeks over the holidays, a time we also would miss greatly. But I felt you might enjoy seeing photos of Arizona at dusk rather than photos of our family gatherings. The sunsets here are magical and we look forward to sharing them with you. 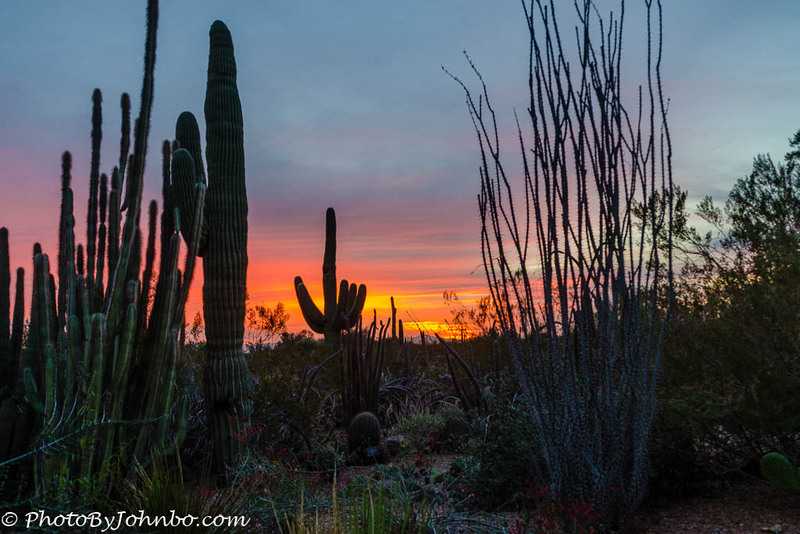 These two images came from a photo gallery taken at the Phoenix Botanical Garden during a Chihuly exhibition and luminaria display. You can view that entire gallery here. The Phoenix Botanical Gardens is great and especially so when I saw the Chihuly installment there. You have me really looking forward to my visit in January to my parents’ place in Mesa! Hope you had a great Thanksgiving. Thank you much. We visit the gardens almost every year. It is one of our favorite places. Very peaceful, pretty, and serene. I must see it one day. I feel exactly the same way John. We love being on our sunny, warm little island around the holidays. But for the actual holiday we return to the north to share with family. All the best to you and yours this season! Pretty pics, what a photogenic part of the country!